Tsubaki (椿) Camellia | Ready, Set, Kimono! The kanji for tsubaki combines the radicals for tree (木) and spring (春) which perfectly describe this motif. Tsubaki is a tree that can grow at high altitudes, and it is very common to see the red and white tsubaki blooms when there is still snow on the ground (yuki-tsubaki). Tsubaki is also commonly called the rose of winter. Tsubaki was an unpopular and inauspicious flower for samurai and their families. Tsubaki blossoms drop to the ground as a complete flower instead of petal by petal. To the samurai, this represented the death of the warrior in one stroke. The popularity of the tsubaki reached a height during the Edo era. Shogun Tokugawa Hidetada incorporated tsubaki in his flower garden. 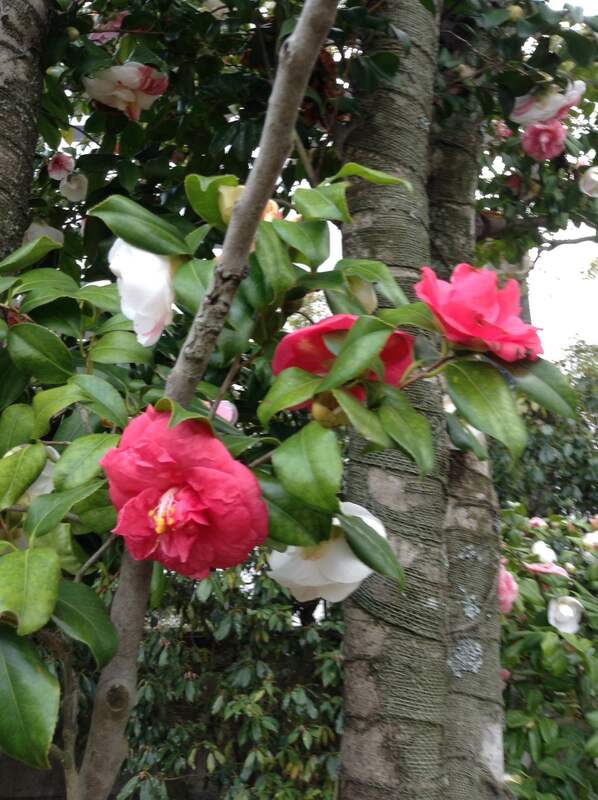 After provincial representatives viewed the garden, a tsubaki boom happened across Japan for all social classes. In fact, a 100 Tsubaki Catalogue was produced, allowing for selective breeding. Tsubaki and botan (peony) can often be confused. 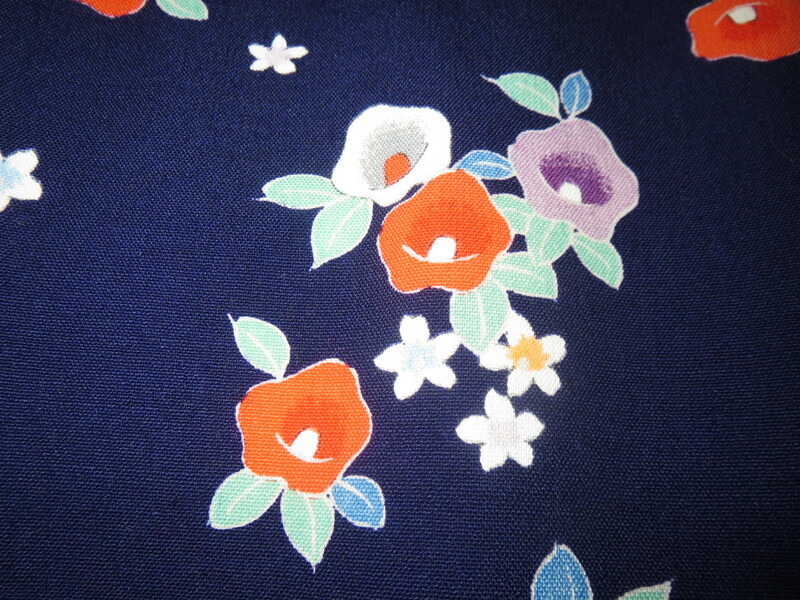 The classic feature of tsubaki is the tightly packed clump of stamena at the center of the flower. Tsubaki have between five to nine petals, and they are usually shown as a single layer of petals. In stylized versions, the petals will meld into one large undulating ring around the center. Botan are usually fuller than tsubaki and have multiple layers of petals. 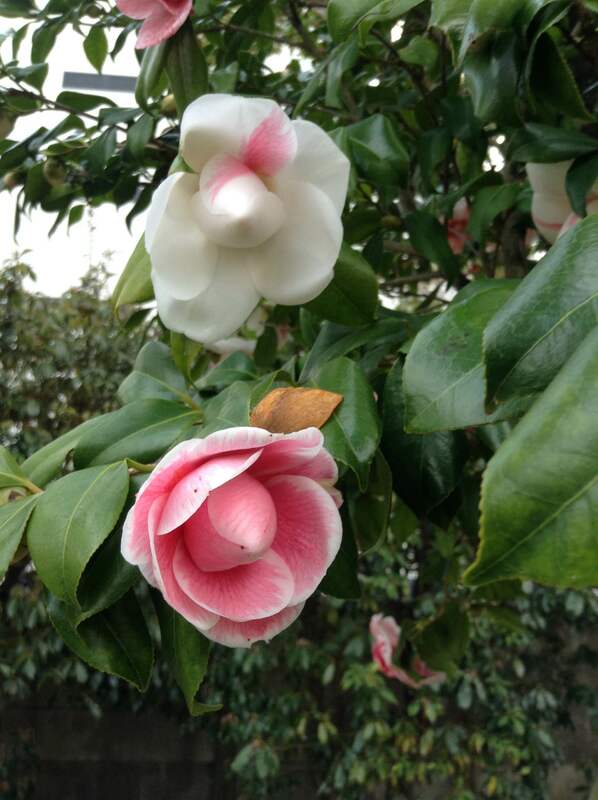 The petals are usually more ragged on the edges than tsubaki petals. 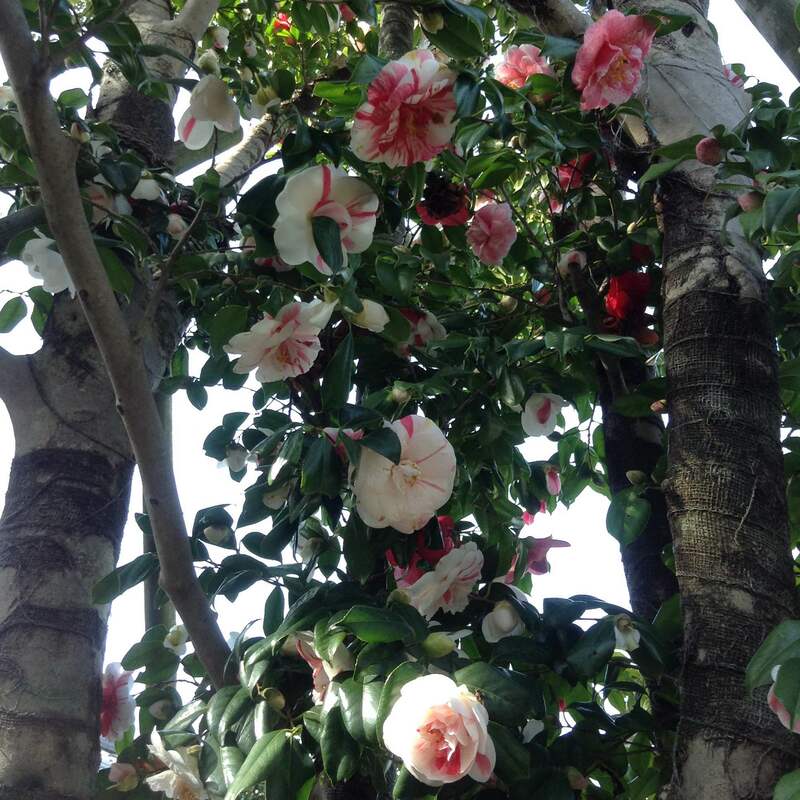 Tsubaki that are depicted with their branches can be called edatsubaki (camellia branches) or tsubaki no orieda (camellia on bent branches). While these are general rules to distinguish between tsubaki and botan, highly stylized versions or unusual artistic interpretations can muddle this distinction. 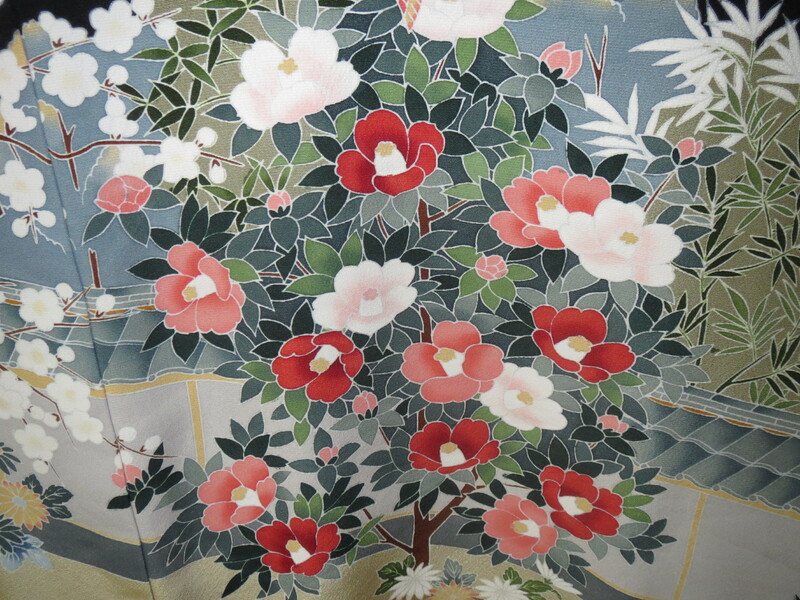 A tsubaki tree depicted on a kimono. A close up of more realistically depicted tsubaki. 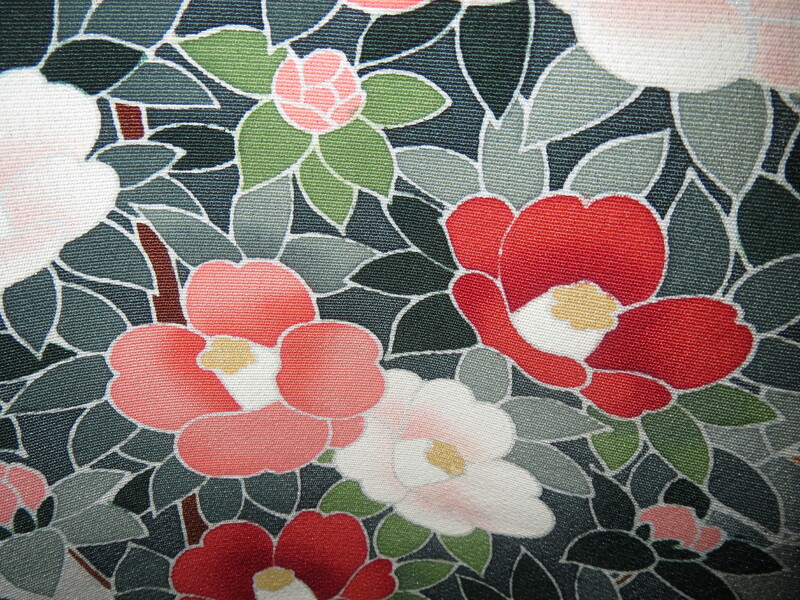 Pingback: Motif: Botan (牡丹) Peony | Ready, Set, Kimono!